Inaki Williams made his 150th La Liga appearance for Athletic Bilbao in their 3-2 win over UD Levante on Wednesday evening. The Spanish born Ghanaian international reached a milestone at Bilbao where he has spent most of his football career. Inaki joined the La Liga club in 2014 from Tercera División side Basconia having spent time with Bilbao’s youth team and has become a star boy for the Los Leones, netting 51 goals for the club. Having already capped 150 times for the club, the 24-year-old could make history by becoming one of the best strikers in the history of the club. The goal poacher is eligible to play for the Black Stars having represented Spain at the youth level. 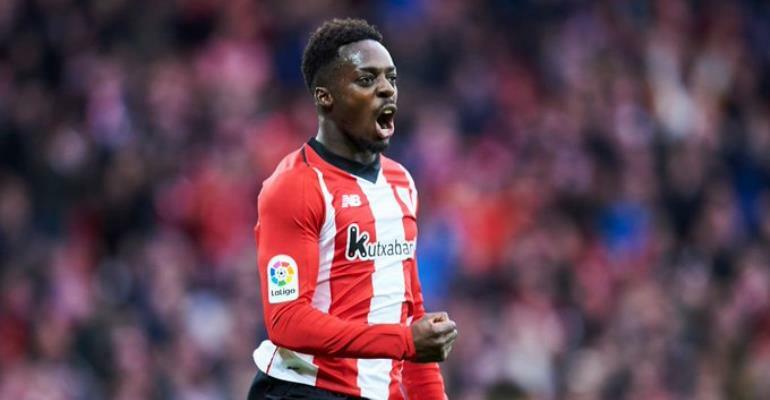 Inaki Williams is yet to make a competitive cap for the Spanish senior National team despite playing in a friendly game against Bosnia and Herzegovina.